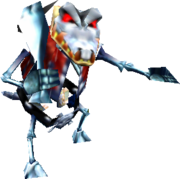 Bones are a skeletal variant of Kritter in Donkey Kong 64. They appear in Fungi Forest (in the nighttime) and Creepy Castle, both in which they appear semi-frequently. They also appear in two of the later Battle Arena Pad stages, of DK Isles and Creepy Castle. Unlike normal Kritters, Bones attack by swinging their bone club at the active Kong. Bones can either be defeated from one through three hits. This is based on which body parts that the Kongs knock off first, usually one of its feet. Upon being defeated, Bones lose balance and collapse on the ground. The Kongs can instantly defeat a Bones by throwing an Orange at one or by using their musical instrument. 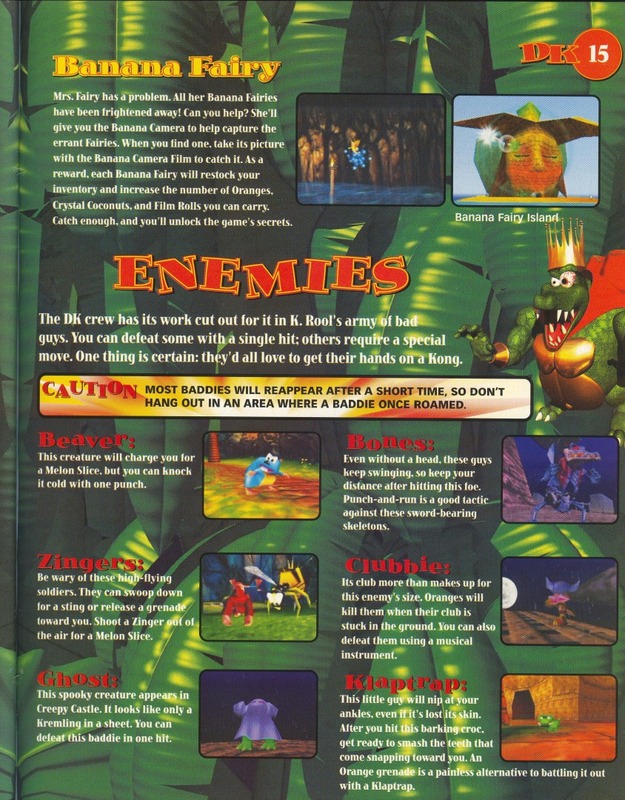 ↑ Donkey Kong 64 Prima Official Game Guide. Page 15. This page was last edited on March 3, 2019, at 18:46.